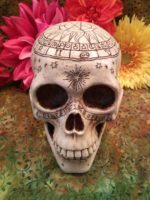 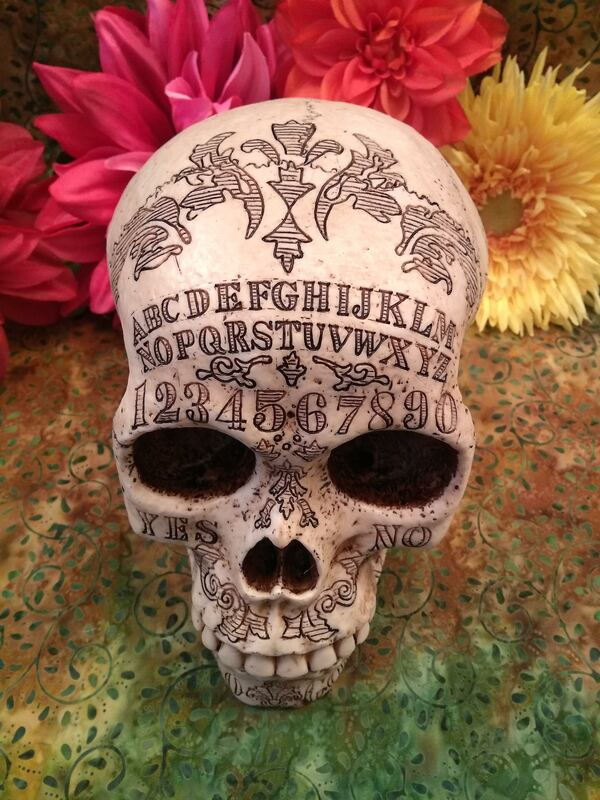 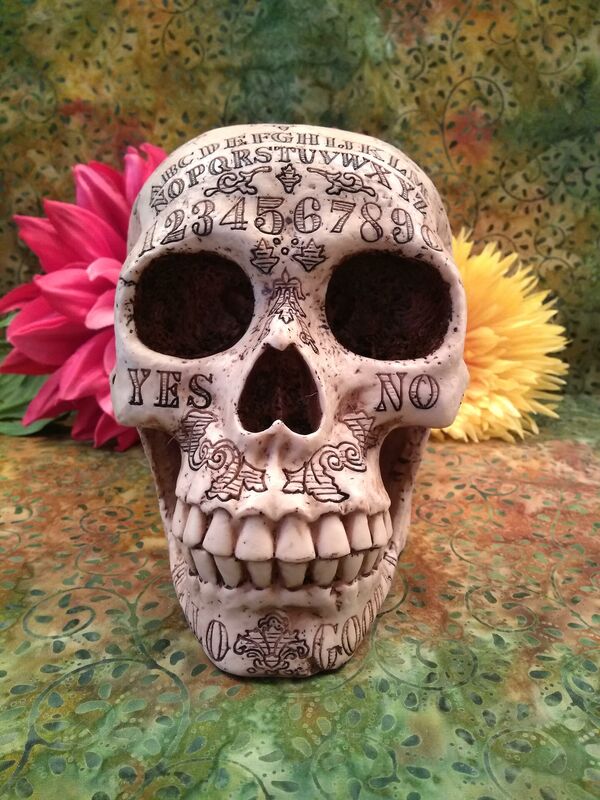 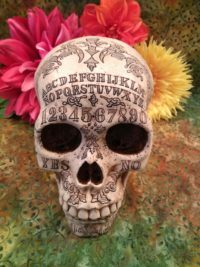 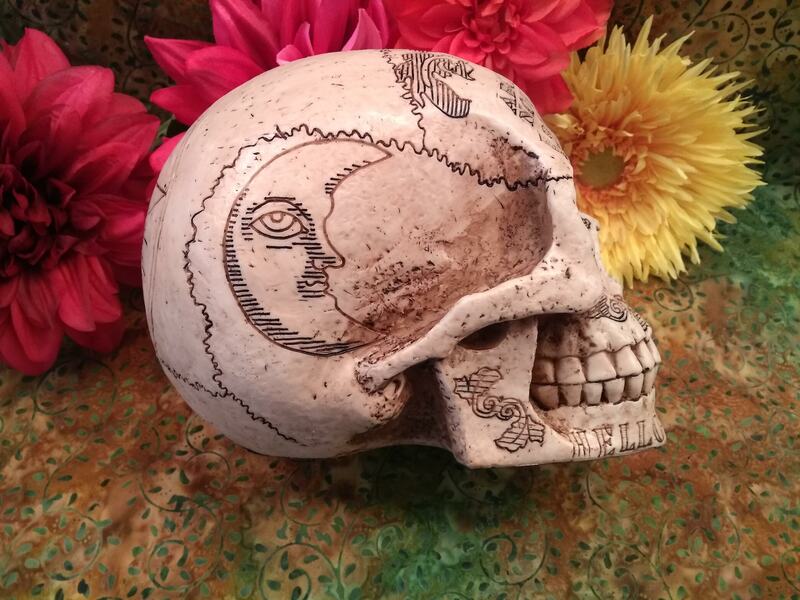 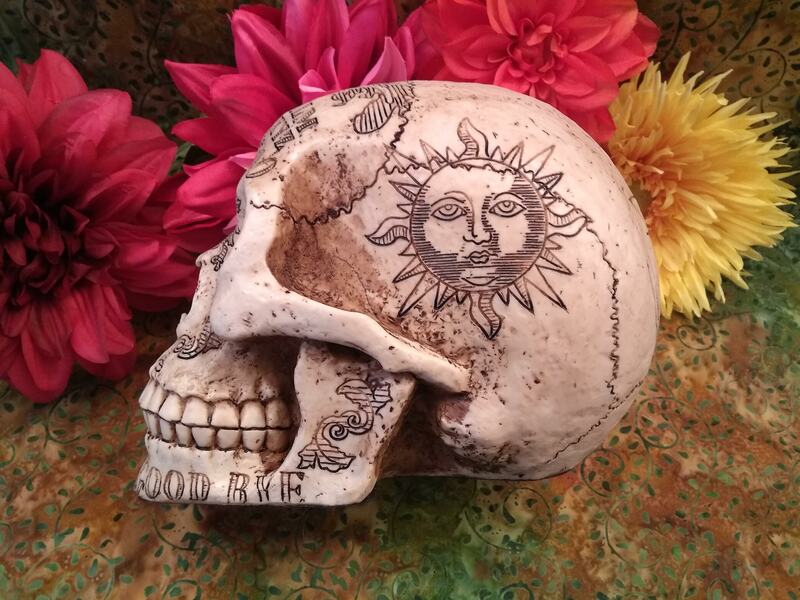 Detailed skull decorated with ouija symbolism. Full board design on the forehead, yes and no under the eye orbits, hello and goodbye on the jawbone. 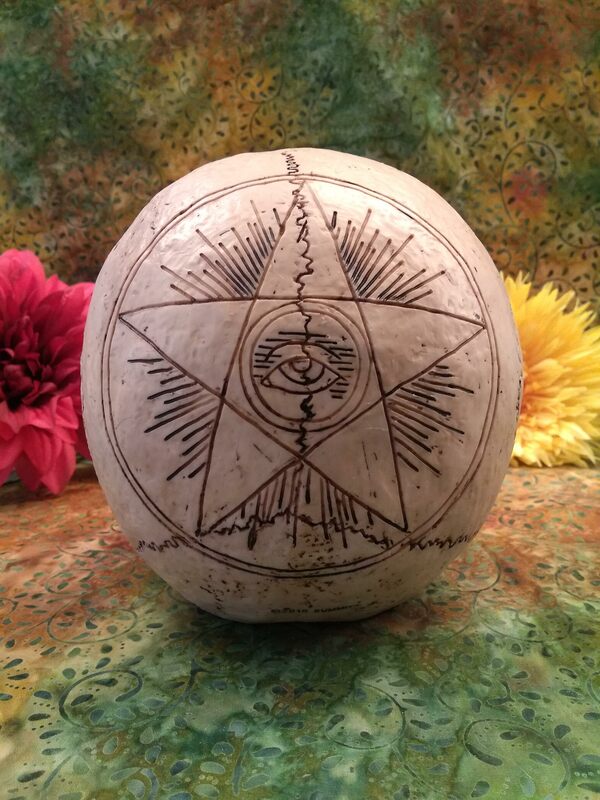 Sun and moon designs on the sides, and the all seeing eye inside a pentacle on the crown. 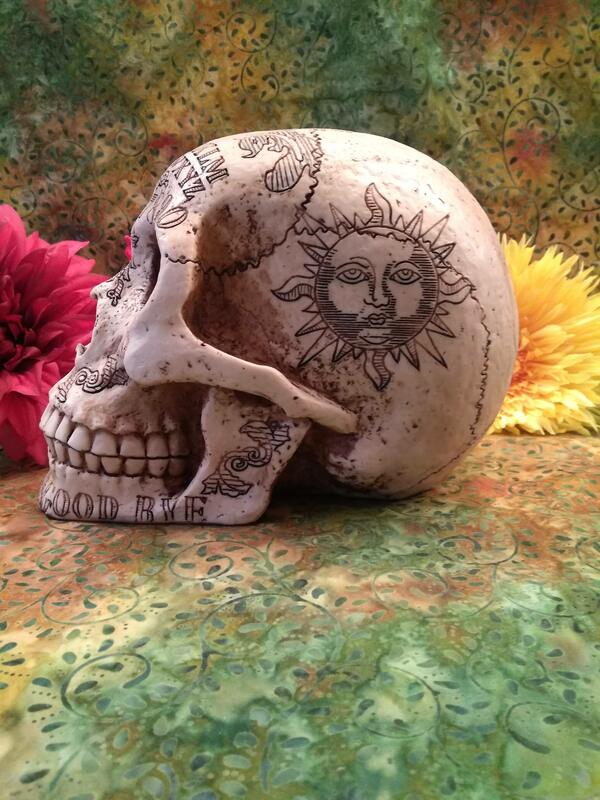 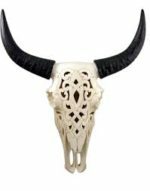 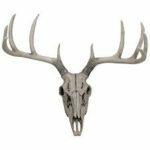 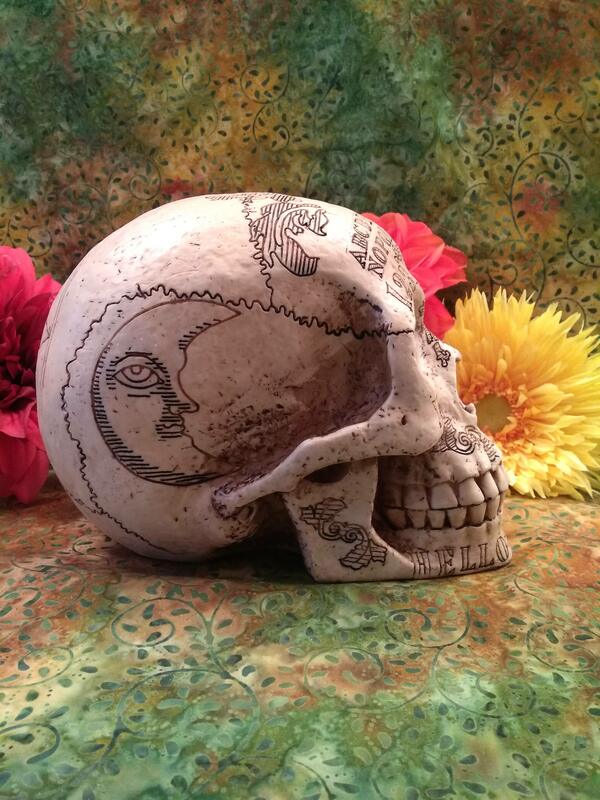 Skull measures 8.5″ long, 6″ wide and 6″ tall.